The World of selling has been turned on its head in the past 5 years, with buyers now firmly in-charge. Coupled with the recession, times have never been tougher for sales people and sales leaders to produce results. 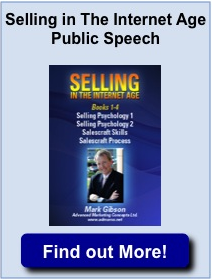 Selling in the Internet Age looks at the changing sales landscape and offers salespeople, marketers and support people, new insight into how individuals and corporations buy and how they can level the playing field with buyers. For a general audience involved in B2B product development, marketing, sales and support. Will be of particular benefit to customer-facing support professionals and the tips and insights can be implemented with immediate effect. The #1 competitor in every opportunity is "no-decision"